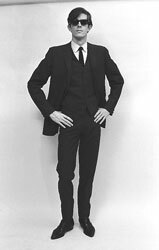 John Byrne Cooke experienced the 1960s within the music of the counterculture. As a member of the Charles River Valley Boys bluegrass band in Cambridge, Massachusetts, his musical home was the legendary Club 47, one of the principal wellsprings of the folk-music boom. 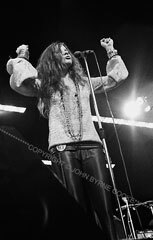 When folk gave way to rock and roll, John moved to San Francisco, home of the Haight-Ashbury and acid rock, to become the road manager for Big Brother and the Holding Company and Janis Joplin. Through it all, he was taking pictures. He wasn't just another photographer hanging around in rehearsals and backstage, or trying to shoot from the wings during a concert. He wasn't an outsider in the company of musicians. John was a musician himself. He belonged. John's photographs reveal his unique perspective on that exciting and turbulent decade. They include luminaries of the new generation - Bob Dylan, Joan Baez, Janis Joplin, Jimi Hendrix, the Chambers Brothers - as well as traditional musicians such as Doc Watson, Mississippi John Hurt, Reverend Gary Davis, and many more who helped to inspire the folk revival, shown both in performance and in private moments offstage. In recent years, John's photos have appeared in books and television documentaries, magazines and CD booklets, but he has been exhibiting them publicly and offering them for sale only since 1998. His work offers a new archive of affectionate and revealing images from the fabled Sixties. 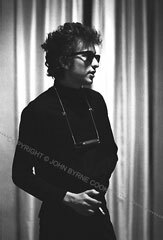 In addition to John's photos of 60s musicians, this site also presents selections from John's images of Paris, California, the Wide World, and the 1960s San Francisco-based satirical revue, The Committee. Please see "Other Galleries" on the menu bar.